At Car Wreckers Adelaide, we are your trusted brand name in Used Auto Parts. Why buy expensive parts when you can buy the best conditioned used car parts from an authentic “Cash For Car Company Adelaide”? Not only do we sell all makes and brands of car parts, but we also specialise in Japanese makes and brands. 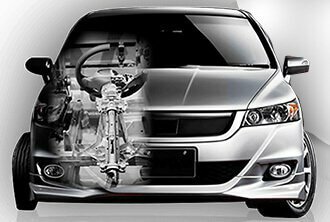 Get reconditioned Japanese Auto Spares from Car Wreckers Adelaide at the cheaper price, every time! We are the wreckers in Adelaide that gladly buy all types of cars, made in Korea, Germany, Italy, France, and so on. But we are the leading wreckers in Adelaide, Wingfield and Lonsdale that buy Japanese cars the most, be it a sedan, Ute, SUV, or a truck. With us, you can now sell your car with ease and can get top dollars instantly. We offer cash up to $9,999! Highest payment for your wrecked, damaged, used, old, or scrap cars – assuring no disappointment with our service! Cheap Priced Japanese Auto Spares are now Easily Available in Adelaide! When we say ‘Cheap Price’, it doesn’t mean we will offer you the worst conditioned parts! We mean, we will offer the best-conditioned auto spares at an affordable price for Used Car Buyers, cheaper comparing to the first-hand ones that can put a dent in your pocket! 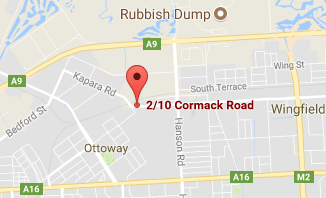 At Car Wreckers Adelaide, we select the best working auto parts before we wreck your car. These parts are kept separately, with adequate tests are done to finalise that they are eligible to sell. We have well-experienced wreckers who are also highly knowledgeable. Our wreckers work confidently and take pride in being the best in the industry. We have years of experience in this automotive industry, buying, wrecking, recycling cars and selling auto spares to our hundreds of customers Adelaide wide. We have own wrecking yard where we conduct eco-friendly wrecking and recycling to save our environment from all the toxic releases. Most importantly, we care. We care about you, about our environment, and we care how challenging it is to sit with a damaged car. We also understand how much thought you have to put in before you buy a part for your car. It may be one simple part, you may need to change the car windows, or install an airbag, maybe change the radiator, whatever you need for your Japanese made car or truck, you’ll find it at Car Wreckers Adelaide. Even though we buy cars & trucks, and sell Auto Spares for all makes and model, we are experts on buying and selling auto parts of Japanese cars. Japanese brands are highly common with drivers in Australia. Many surveys have shown that Japanese makes and models secure the highest number of votes when it comes to reliability and satisfaction.